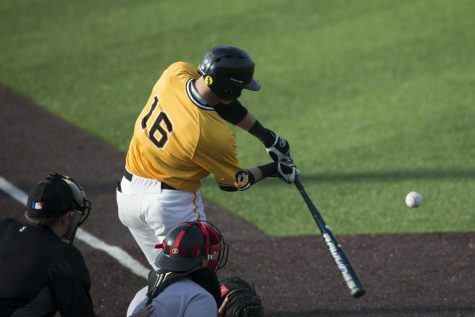 After a heartbreaking loss in Game 1, Iowa bounced back to win two in a row over No. 19 Oklahoma State to take the series. 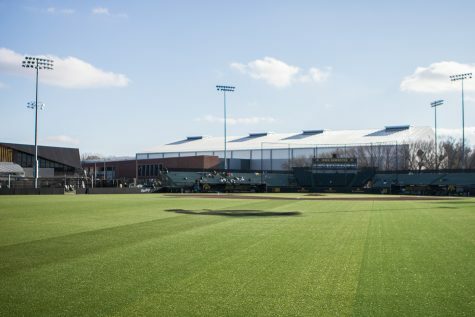 The season is still young, but Iowa baseball took a big step forward this weekend. The Hawkeyes took two games over No. 19 Oklahoma State, downing the Cowboys in a three-game series in their first matchup with a top-25 team this season. 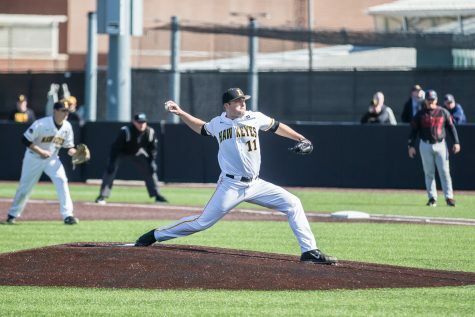 Iowa opened the series with a heartbreaking walk-off loss in the first game of a Friday doubleheader but bounced back with a win in Game 2 and captured the series with another close victory on Saturday. 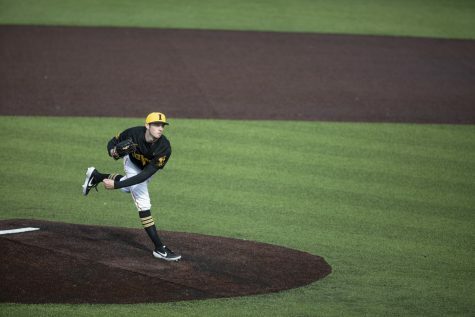 Oklahoma State threatened to take the series in Game 3, putting runners on first and second with no outs in the eighth inning. Heller then looked to Trace Hoffman to get Iowa out of the jam, and it paid off. Hoffman ended the Cowboy threat with a fly out and 2 strikeouts. With the score tied at 2 heading into the ninth, Lorenzo Elion came through in the clutch. 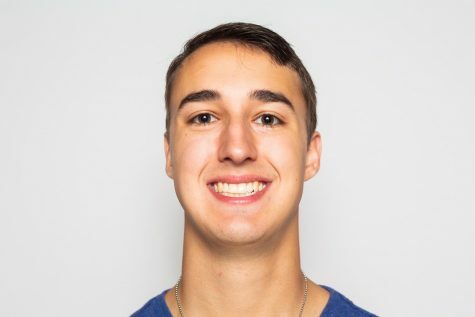 Elion, pinch-hitting for Tanner Padgett, tripled to left field with one out, leaving Austin Martin to bring him in with a sacrifice fly. 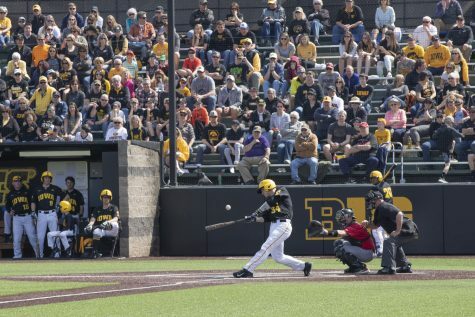 While the Hawkeyes only managed 4 hits on the day, the pitching was incredible, allowing just 4 hits as well. 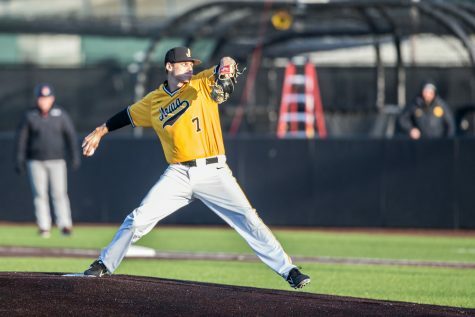 Grant Judkins continued his impressive start to the season on the bump, pitching five scoreless innings and conceding 3 hits and 5 walks, while striking out 5. 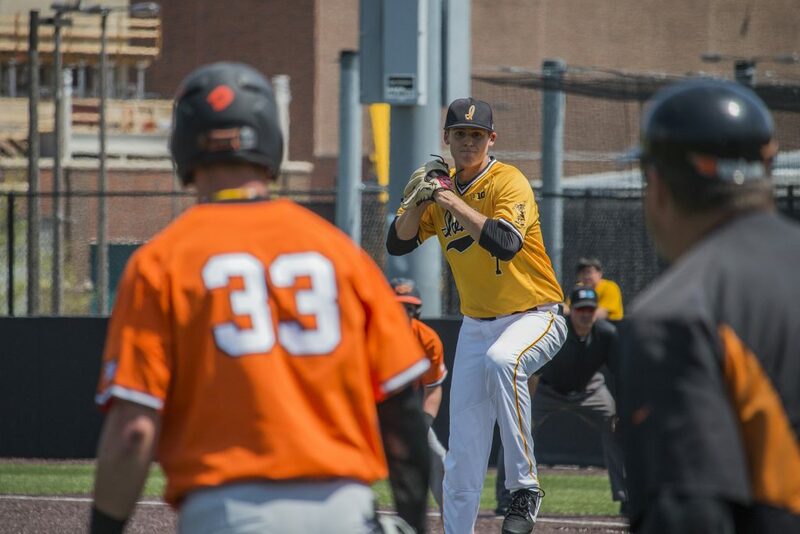 The series win marked Iowa’s second over Oklahoma State in as many years. While the deciding game appeared to be rough in a few aspects, it showed the Hawkeyes can win games when things get gritty. In Game 1 of the series, Iowa lost a tough one. 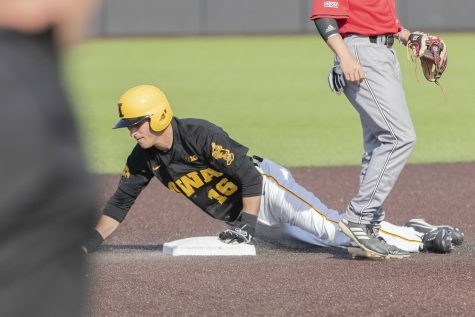 The Hawkeyes held a 4-3 lead over the Cowboys heading into the ninth inning, but after Hoffman allowed two doubles, Oklahoma State leadoff hitter Hueston Morrill walked it off with an infield single, allowing the runner from second to score and ending the game, 5-4. 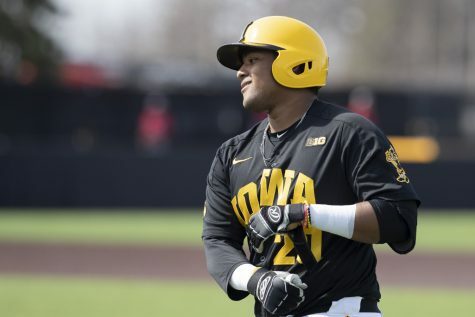 Iowa trailed 4-2 after three innings of the second contest of the doubleheader. 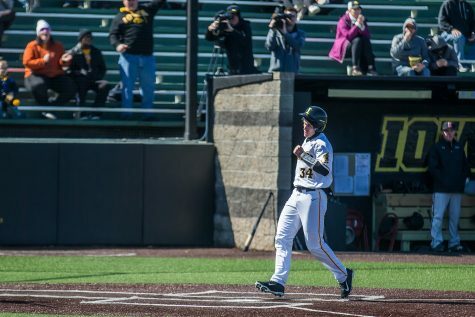 Austin Martin helped the Hawkeyes bounce back, though, smashing 2-run home run over the left-field fence to tie the game in the fourth. In the top of the eighth, Trenton Wallace drew a walk with the bases loaded to give Iowa the lead, and eventually, the 5-4 win. 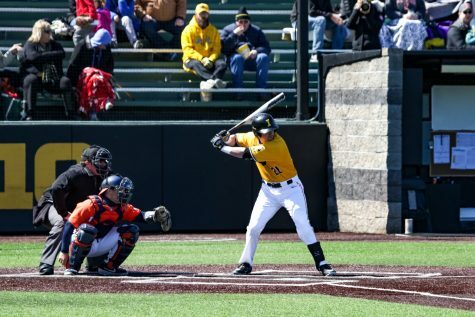 After winning their biggest series of the season, the Hawkeyes will hit the road once again to take on Evansville in a three-game series starting on March 8.